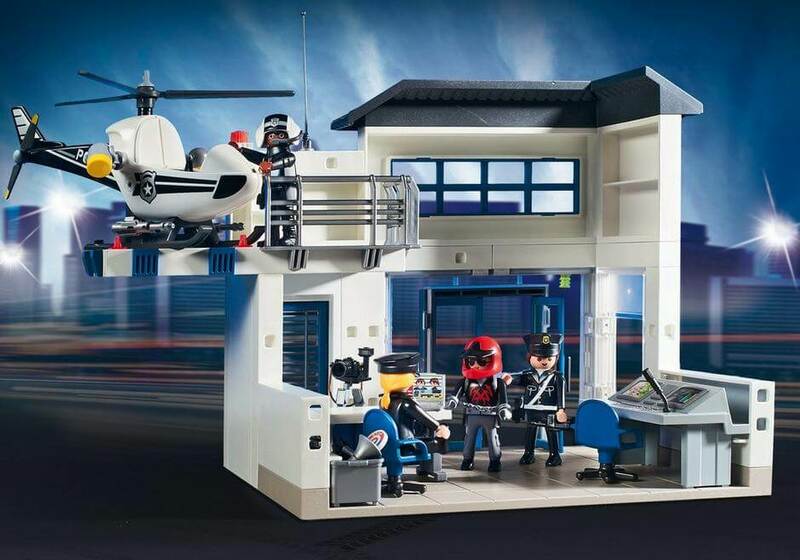 Use your resources at the Police Station to catch the bad guys on land or in the sky. While the police helicopter patrols from above, the police car, with flashing lights and sound, is in pursuit below. 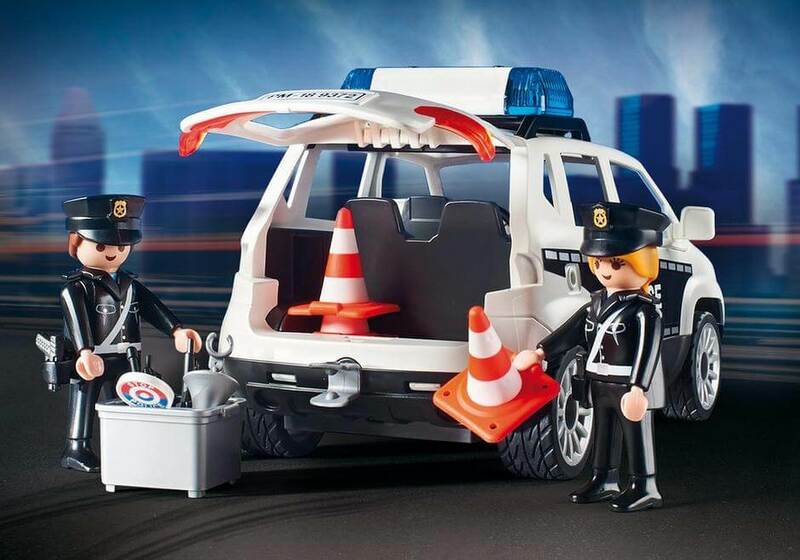 Thanks to the pull-back motor, this thief has one quick getaway car, but he’s no match for the police. 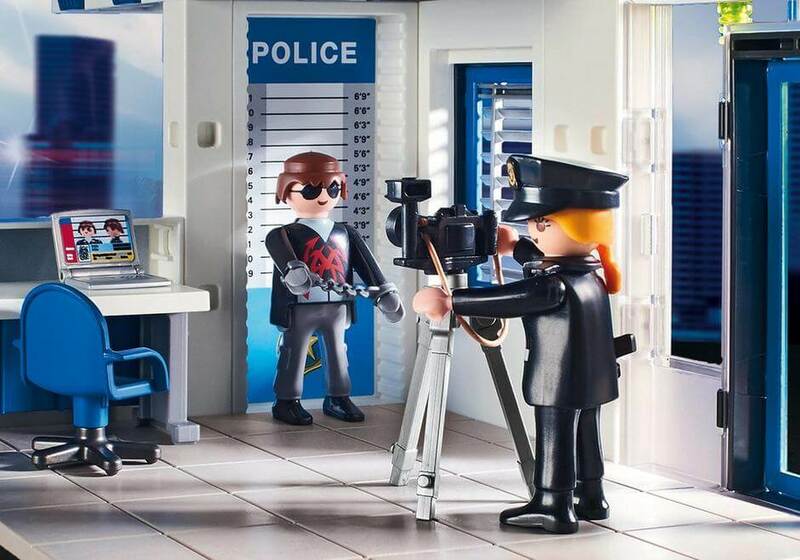 Once the thief is captured, he is brought into the station’s booking area to be photographed for his mug shot. 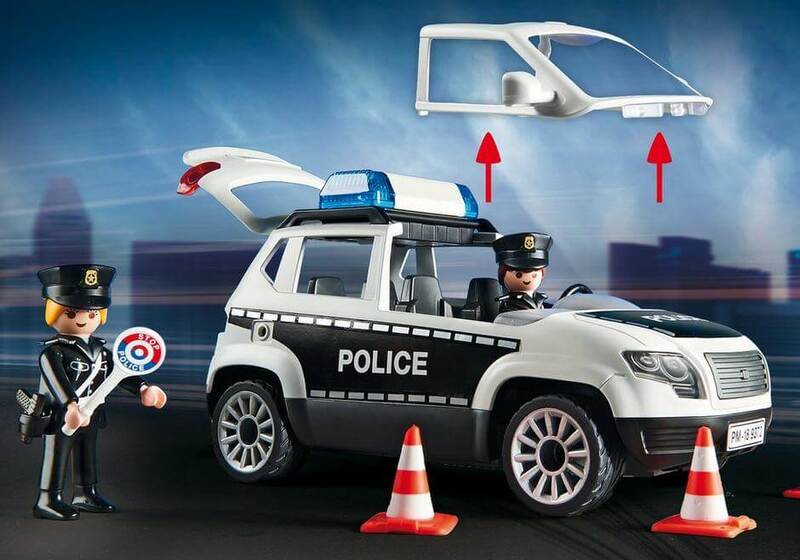 The police car has extra storage space and a removable roof to accommodate both passengers and police gear. 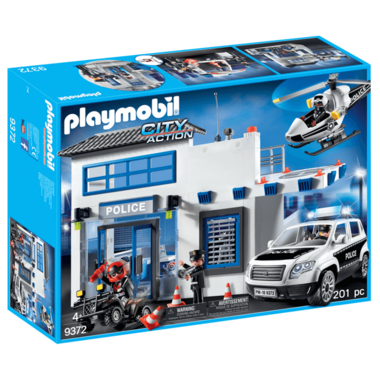 Equipped with flashing lights and sound (1 x AAA battery required), the police car can also be upgraded with a PLAYMOBIL remote control set (4856 and 6914 – sold separately). When the day’s action if over, the helicopter can land on the station helipad. 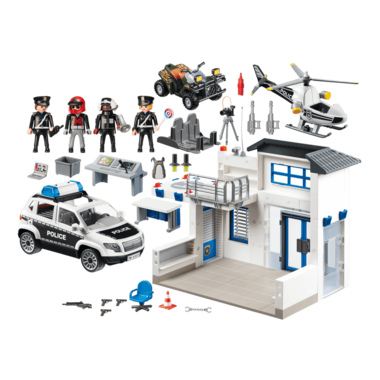 Set includes four figures, police station, police car, helicopter, quad, computers, camera with tripod, megaphone, road blocks, and lots of other accessories. Recommended for ages four years and up.